Happy Friday! Today, I'm linking up with Andrea at Momfessionals. 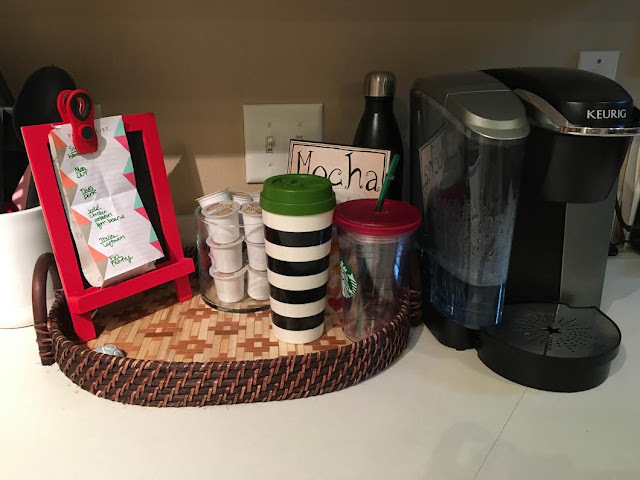 I wanted to share a glimpse in my house of some organizational tips I've found useful. Some, not so much, which you will also see. A few years ago, I bought all of these plastic bins, slapped some labels on them in an attempt to organize the pantry better. 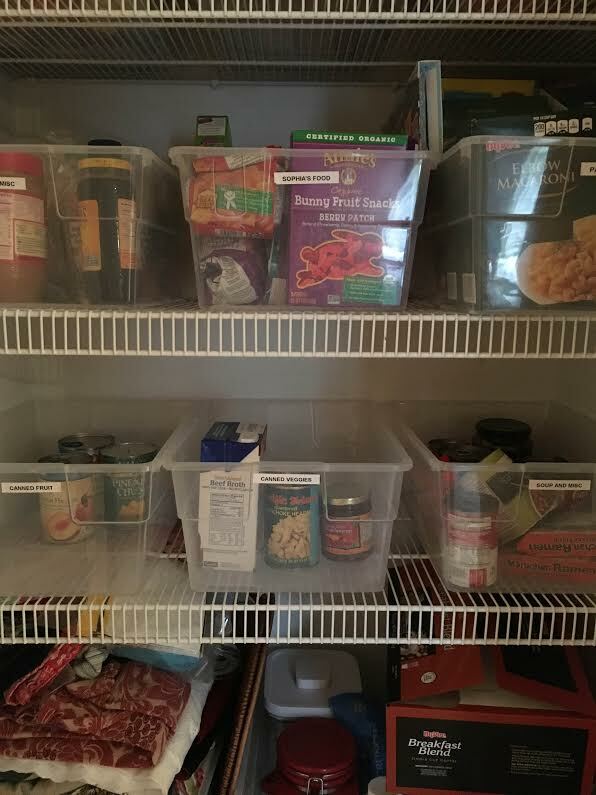 It's worked for the most part but I am looking at slowly purchasing clear, glass containers to put food in, instead of their original packaging. I know it's going to be a process and won't happen all at once. I will tackle the never ending mess of my pantry one of these days! 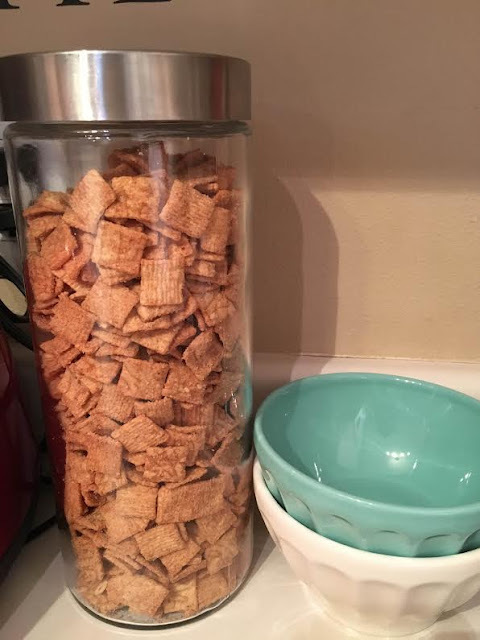 I've already bought a few of these for cereal and I love the way they look in my pantry! 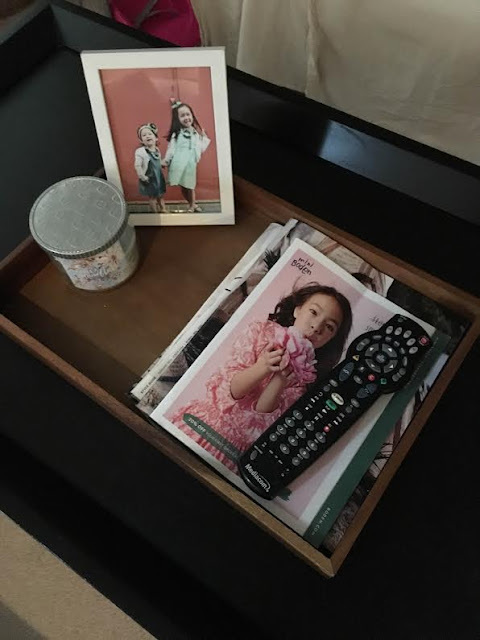 I also have started buying more of these trays and I love their functionality but also a great organizer for those random things like the remote. I've found all of these trays at Target. 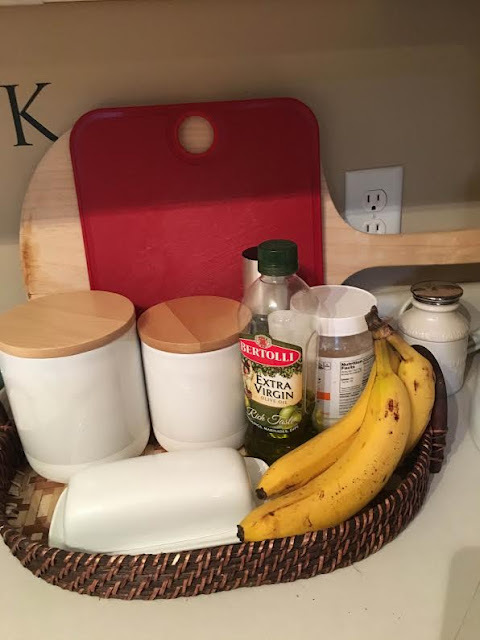 A place to collect cutting boards and other every day items I use. 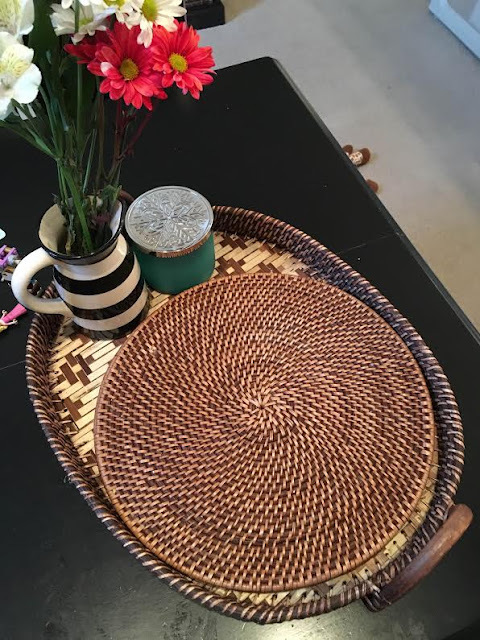 They used to just be on the counter are now contained in this tray. As you might tell from the pantry pictures, I love me some labels. 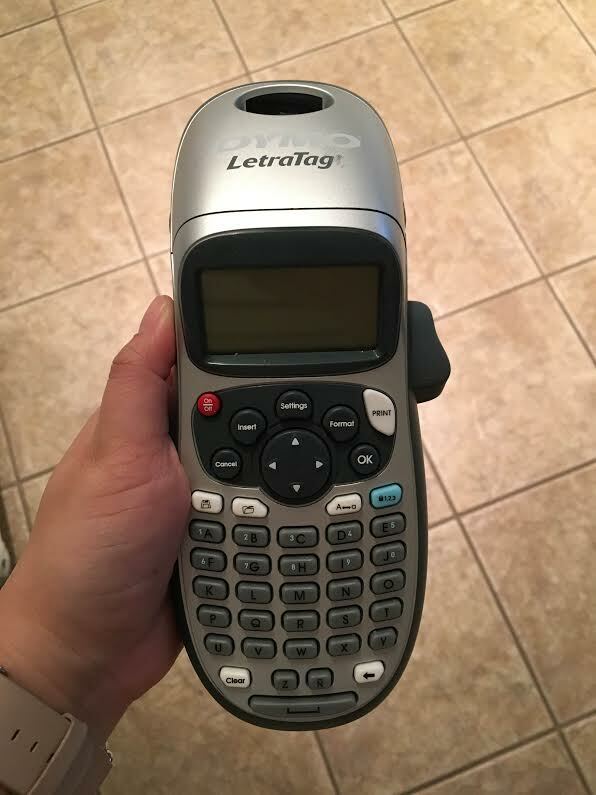 I got this Label Maker from Target a few years ago and I will admit, I've gotten label happy around the house. 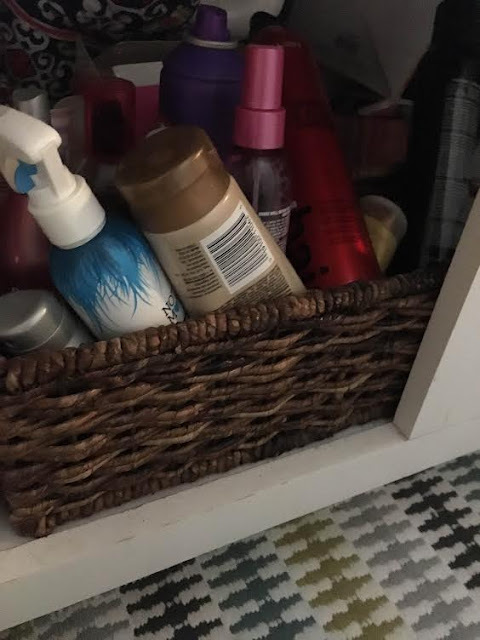 As organized as my make up might be, this is UNDER the counter. I've tried to contain all of my beauty products in this basket. Let me tell you, it is not working! The bottles fall, get jumbled up and it's not pretty. 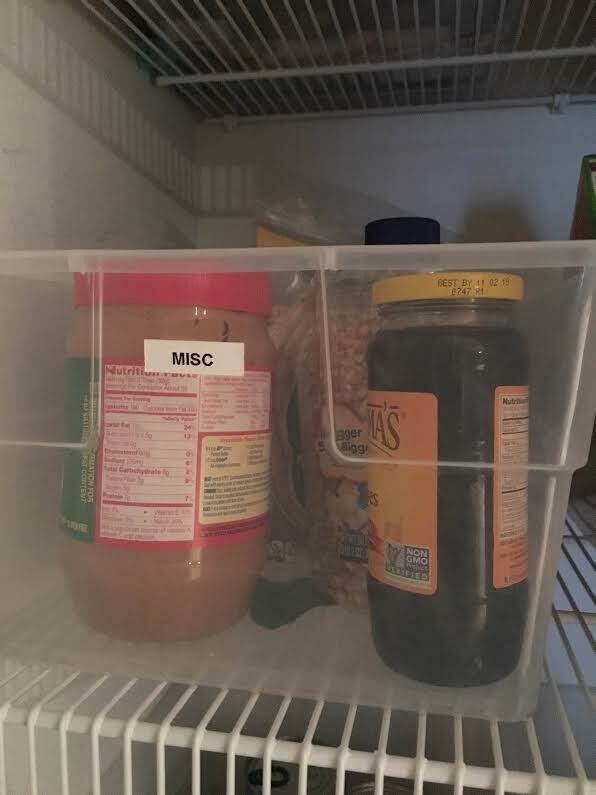 I am in need of other storage ideas for under the counter for these items. This is in our downstairs hall/coat closet. 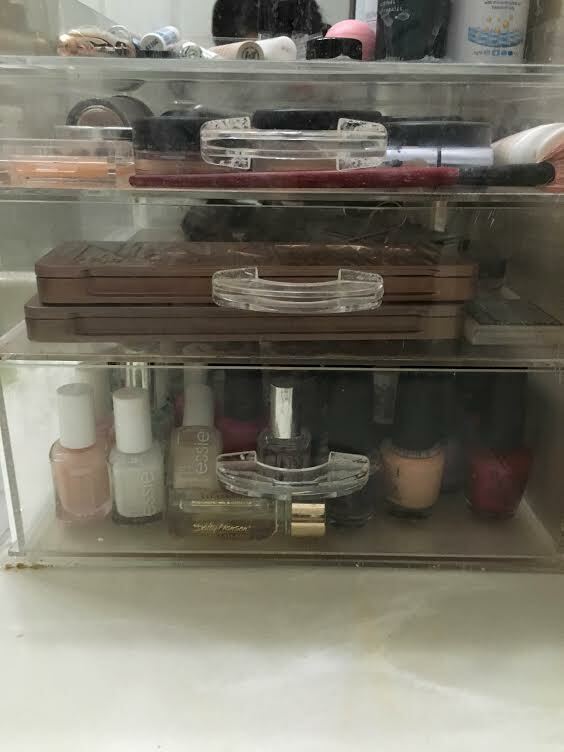 I tried to be organized by purchasing this sterilite organizer. 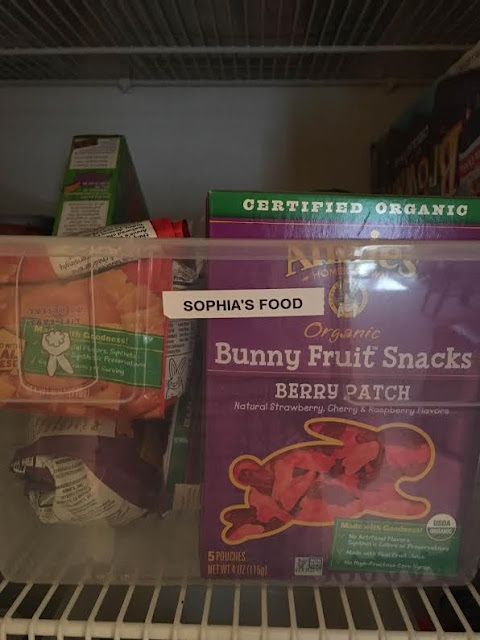 The top drawer is just random stuff, the second one is all of Sophia's artwork. 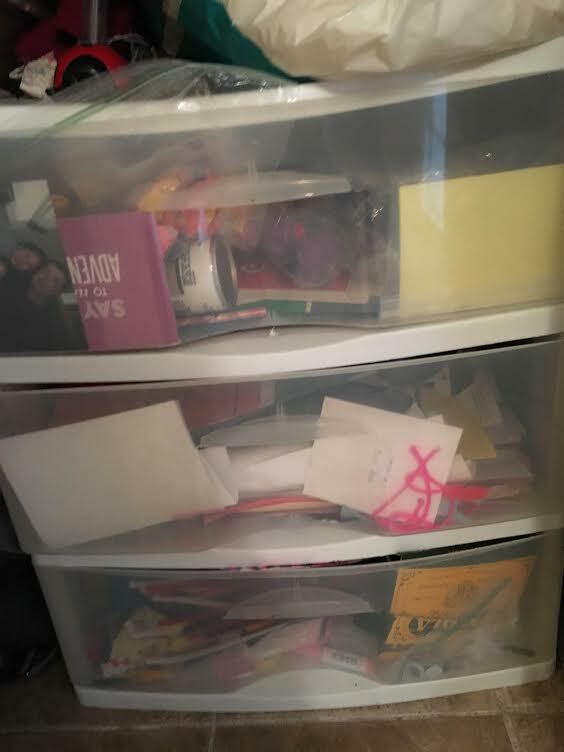 I clean it out after each school year and transfer the stuff I want to keep to her own folder. The rest gets tossed. This system does actually work! The third is all of the girls' art supplies. It works in some ways and others, not so much. It ends up getting really messy as things just get thrown on top of each other. The girls dig around for supplies and it gets messy real quick. Those are just a few of my favorite organizational tips that work for our family! As you can see, I still have lots of areas that are a work in progress! Now comes the fun part, PLEASE share your best organizational tips to help a gal out! !